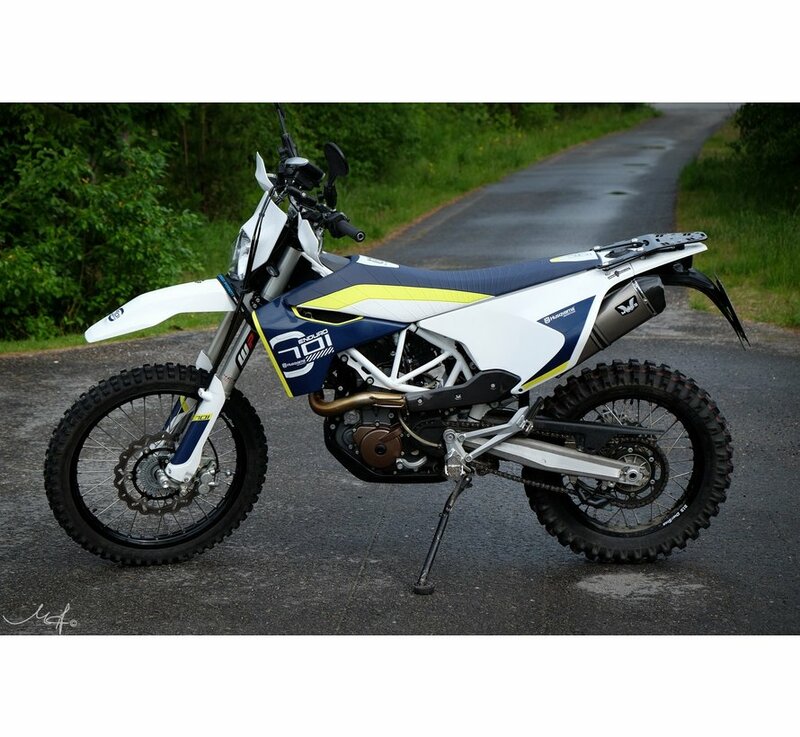 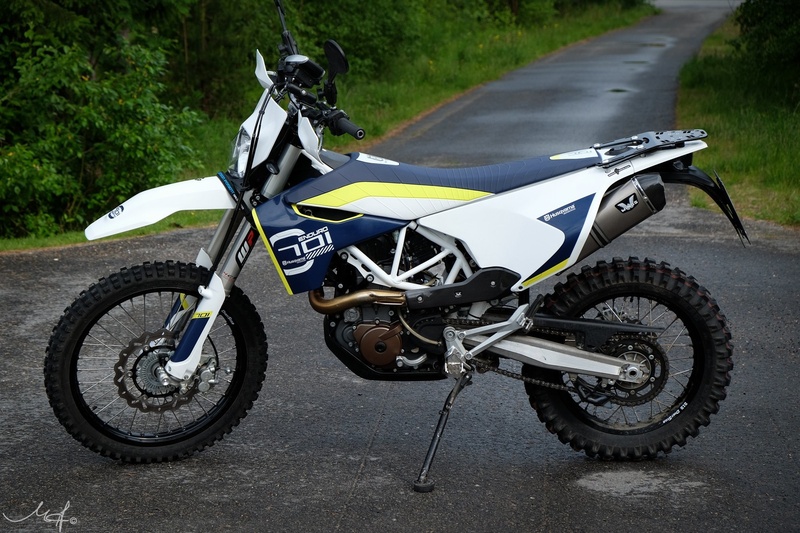 HET alom befaamde bagagerek voor de Husqvarna 701. 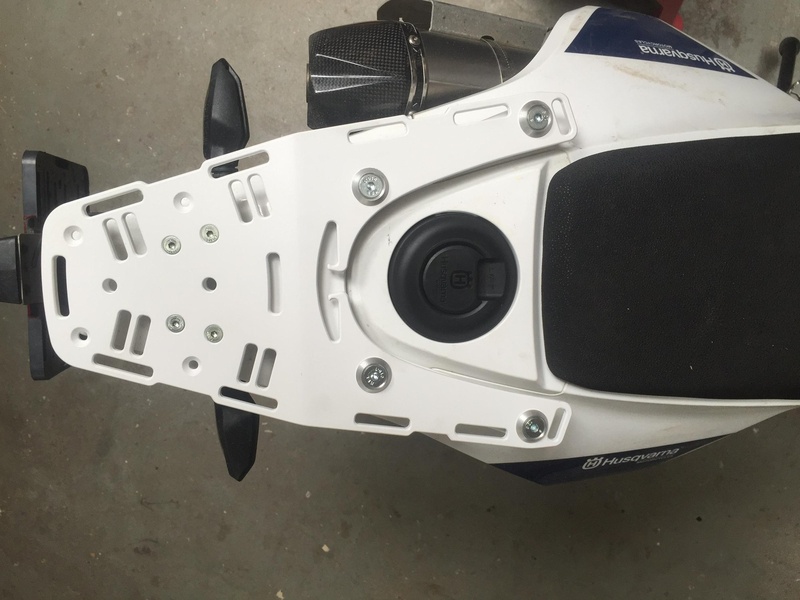 Uitermate goed doordacht en prima bouwkwaliteit. 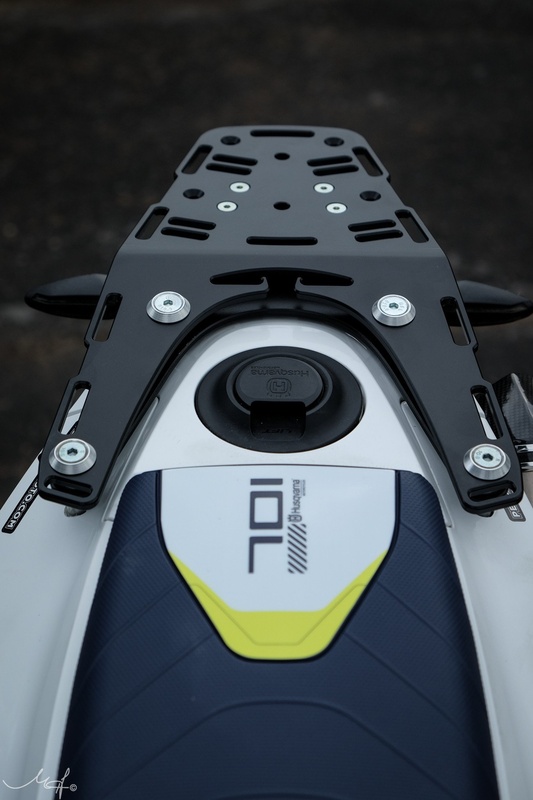 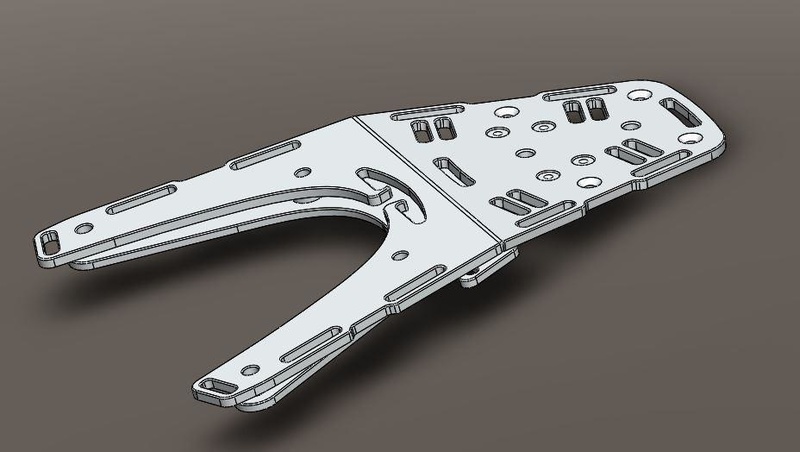 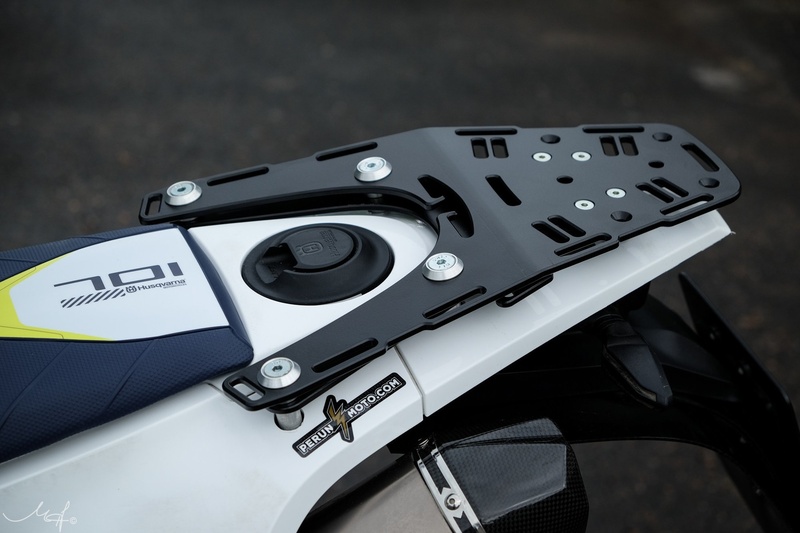 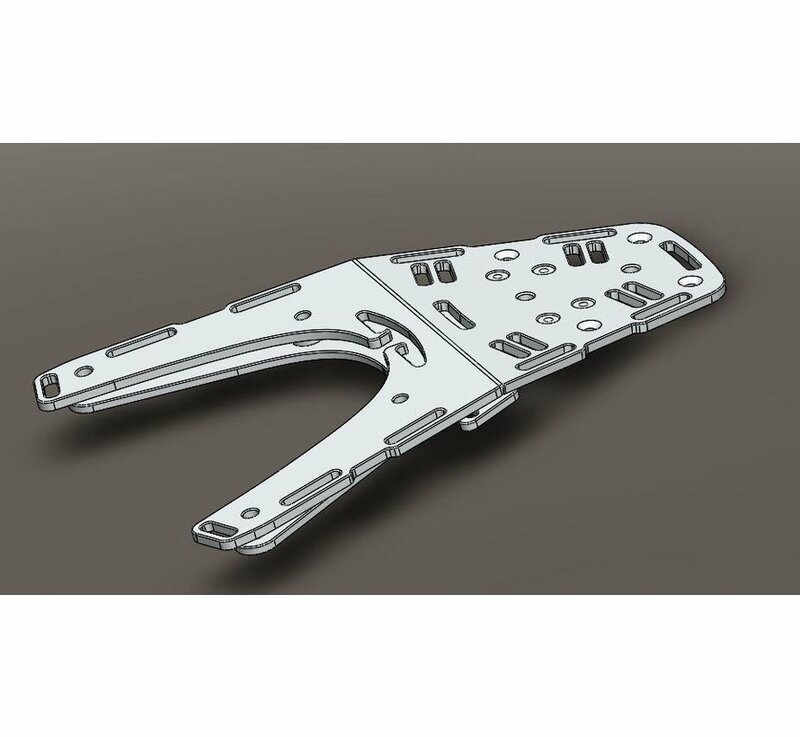 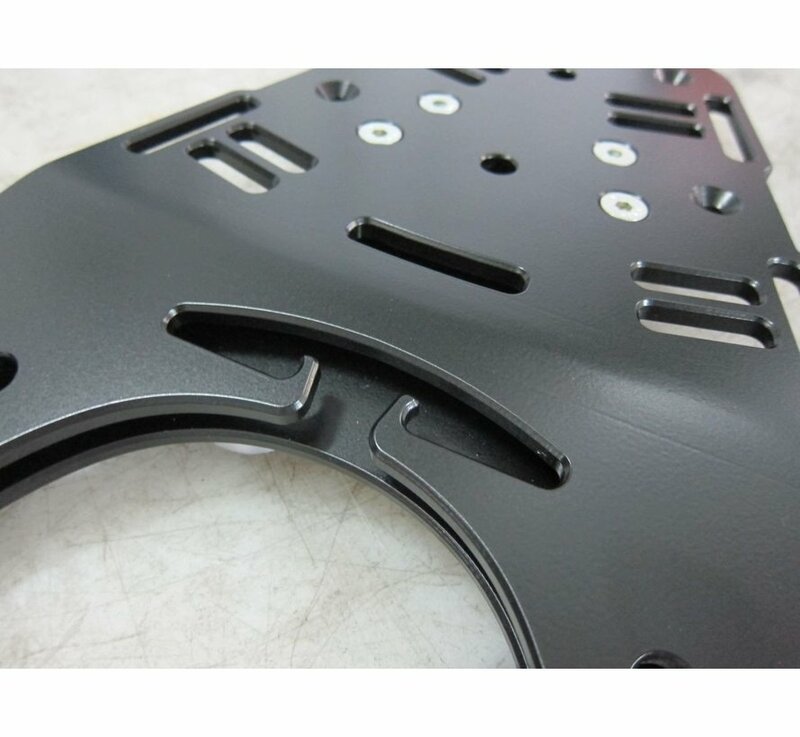 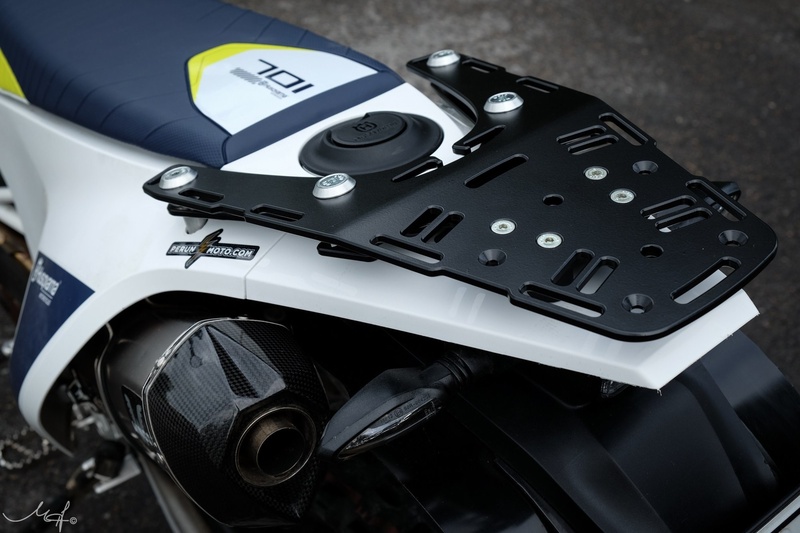 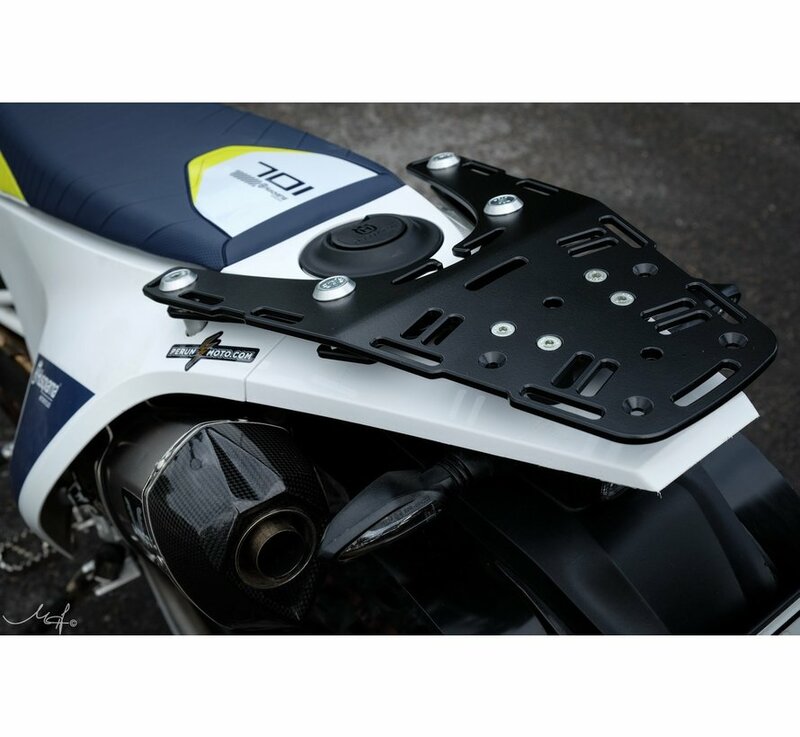 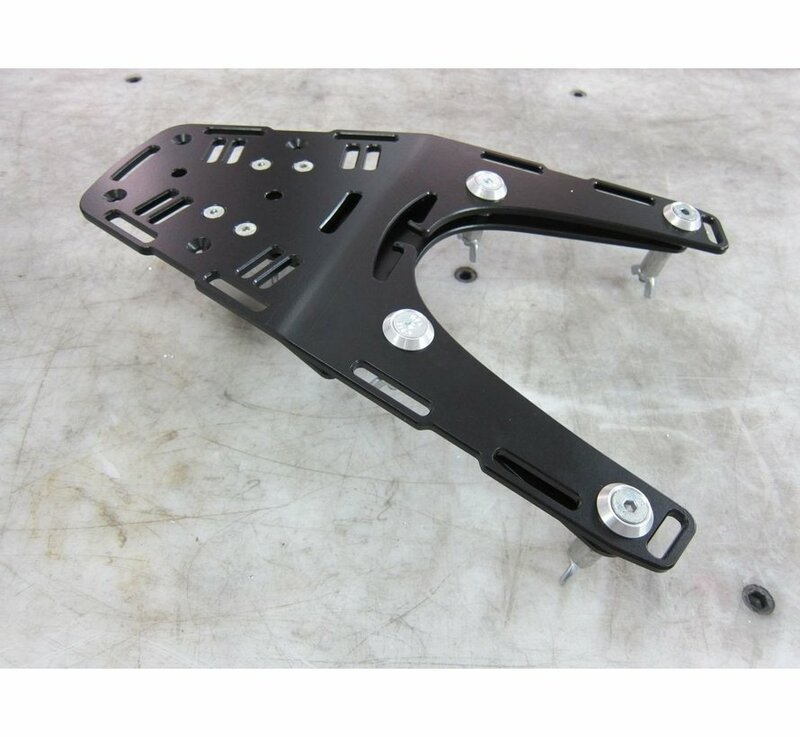 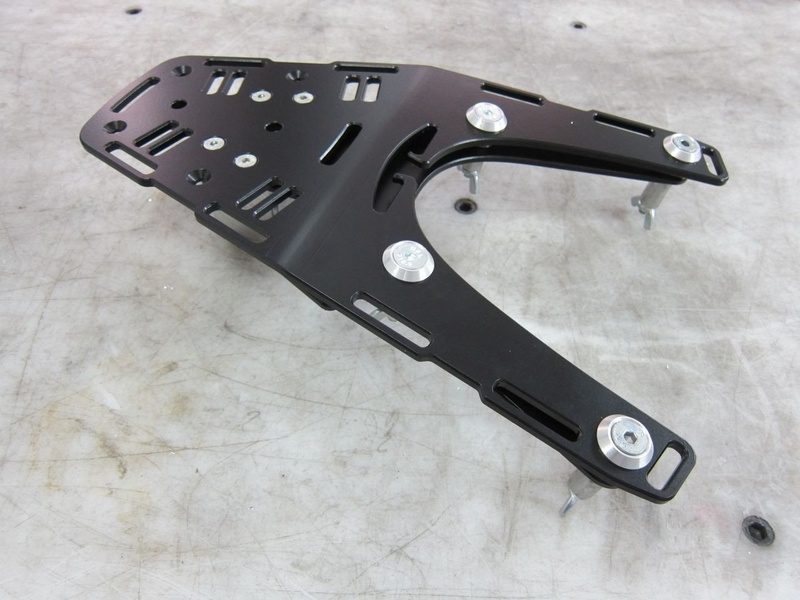 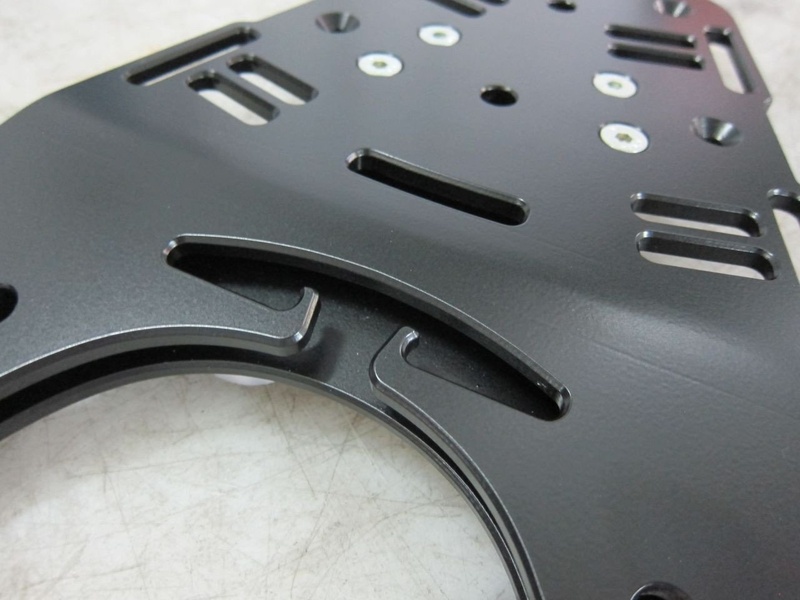 Extension plate for Husqvarna 701 Luggage rack is available HERE. 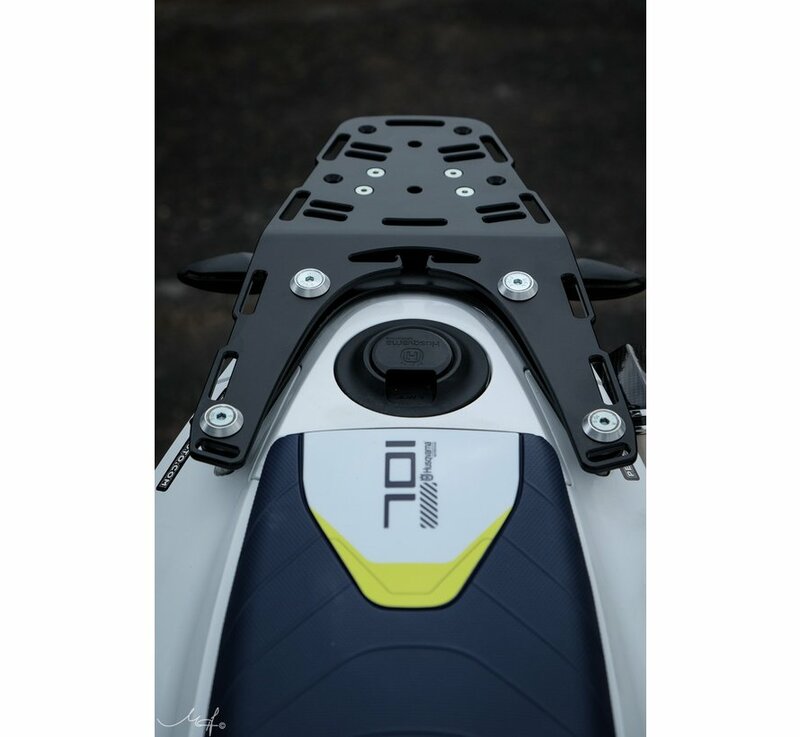 Photos on the bike HERE. This rack was designed to carry smaller soft luggage and/or 1 gallon Rotopax container and/or to be used as strapping platform for rack-less bags. 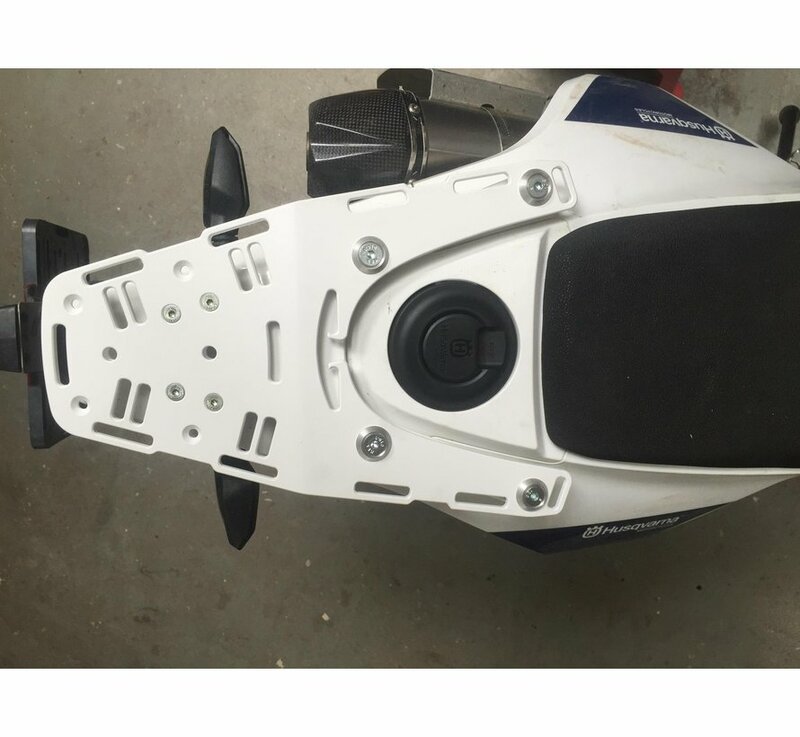 It can carry as much weight as mounting points (threaded inserts in the plastic tank) can endure, so it is not recommended putting more then few kilograms to the back. 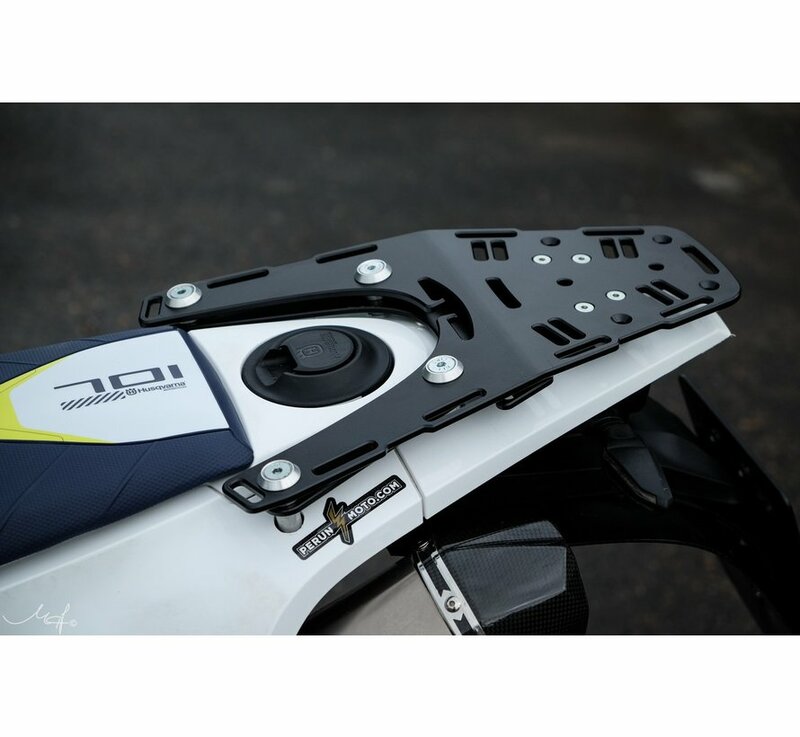 In case of really, really, really rough riding (high speeds over very bumpy terrain) it is recommended to secure luggage carried at the rack in a way to minimize bouncing.